All the Hydration Your Hands and Nails Have Been Craving! The Mega Hydration Kit is the perfect way to get your nails on some massive hydration (while saving money! You'll save over $5.00 off the normal retail price when you get the Mega Hydration Kit). 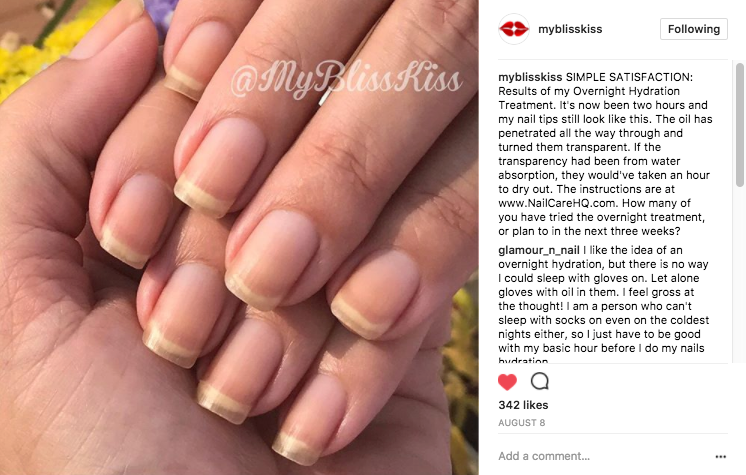 Ana’s Overnight Hydration Technique is a healthy nails game changer! This is the perfect solution for nails and skin that are in need of some serious hydration. And let's face it. That includes pretty much everyone! Just going through a normal day of hand washing, work, home, and well... just life takes a toll on your nails and skin. Now you can get stunning results... overnight! Ready to take the Overnight Hydration Treatment for a test drive on your nails and hands? 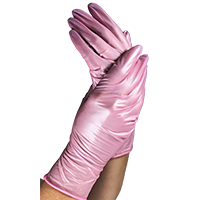 These beautiful pink gloves are durable textured and give you a good grip and work with smart phones and touch screens. Your hands work hard all day. Give them a little extra TLC and enjoy smooth skin and stronger, more flexible nails. Strong nails BEND, not break. Simply Pure™ oil dropper makes it super easy to oil up for an overnight or mini hydration treatment. BOOM! You're set up for nail hydration success! The Mega Hydration Kit comes with your choice Fragrance Free or Crisp Fragrance "liquid gold" so you can get the benefit of this jojoba-laden hydration to make it easier on yourself to get the longer stronger nails you really want. 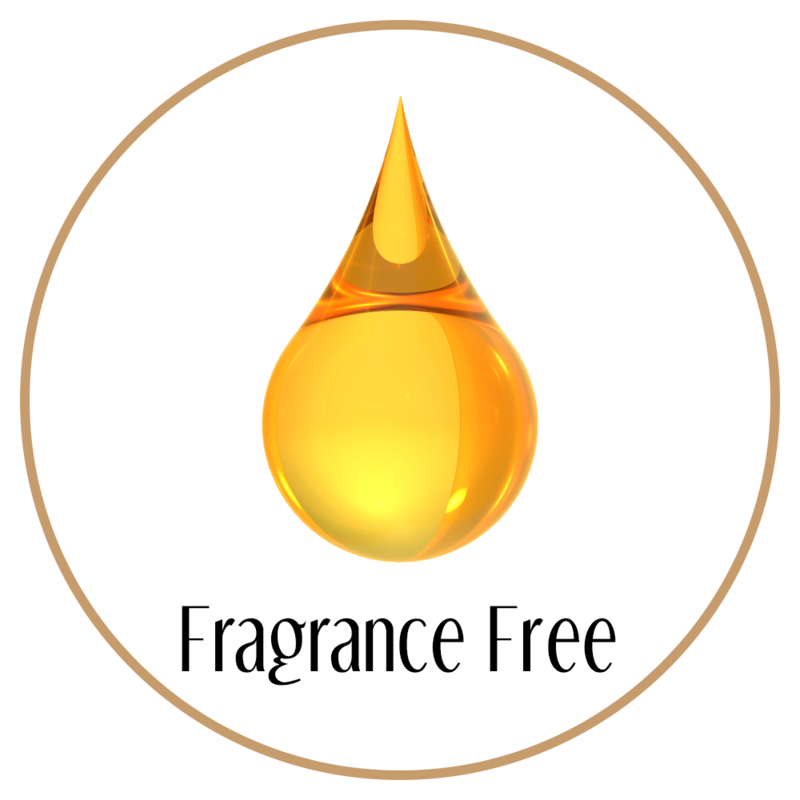 Your choice of Fragrance-Free or Crisp Fragrance hydrating oil. This is the holy grail of all over body moisturizers. Say goodbye to bottled lotion and say hello to this luxurious, uniquely all natural lotion in a stick. Simply Sealed™ lotion stick delivers silky smooth all-over moisturizing goodness into your skin. This artisan, handmade lotion stick is silky smooth and packed with hydration for your dry, sensitive skin without leaving you feeling greasy. Our Lotion Stick is especially great to help with psoriasis, eczema, super dry skin from frequent hand washing, working with paper or boxes, and other drying hazards. Plus, SIMPLY SEALED™ adds a protective, water-resistant barrier to your skin! 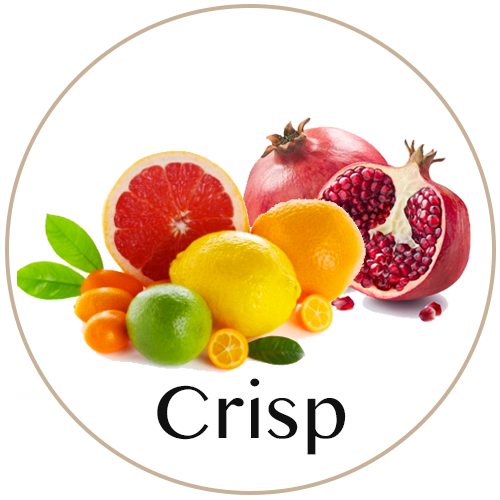 Your choice of Fragrance-Free or Crisp Fragrance Lotion Stick. Ask Ana: How Do I Do An Overnight Nail and Skin Hydration Treatment? Wow after just one mini hydration treatment, my hands are baby soft, I’m a nurse and wash a lot through the day, or use alcohol based sanitizer when not near a sink. My hands have not looked or felt this wonderful since my teens. (20+ years ago) even my writing callus has softened and almost disappeared. Would highly recommend these products, you will not be disappointed. LOVE LOVE LOVE My Bliss Kiss!! Thanks for such an amazing team of products. New life long customer. I used them on my nails/hands and feet and they’re just amazing! Even my dry heels have improved! And they smell delicious! I’m super pleased. If not for the semi-annual sale, I would not have been able to purchase this. I've quit biting my nails thanks to these products. I'm also a regular handwasher, so the oil and lotion stick keep my skin and nails from cracking and peeling. I like the gloves, I wear them every other night, they help keep the product on my hands. I also have cotton gloves that I wear at night. I originally bought this just because I like trying new products especially cuticle oils. 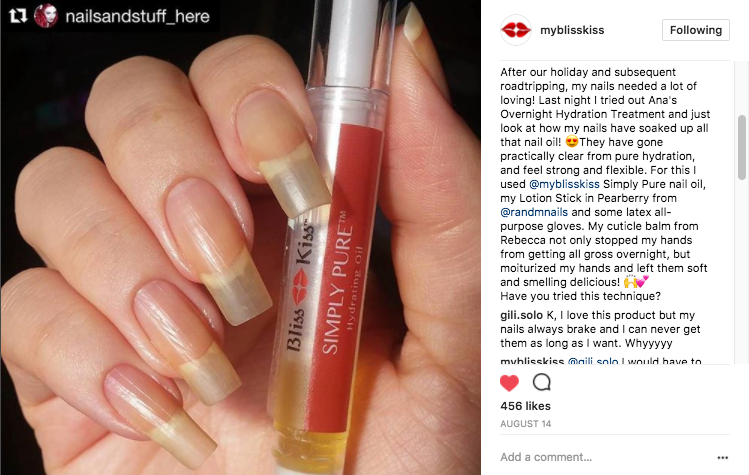 I learned about Bliss Kiss from SimplyNailogical which made me more excited to try it. I used the hydration kit and loved the results but it’s actually more than that. The palms of my hands started to peel to the point of bleeding... It was painful and awful. I used Aquafor to heal the wound and it worked but that is all it was doing because my hands were still cracking and peeling ): I decided to try the Mega Hydration kit and WOW. After using them there was a marked improvement on my palms. My palms are still healing but they are healing like they weren’t before. I am very happy, pleased, and relieved I found something that helped me so much. Although this helped me in a way that was totally unexpected, I’d recommend this to anyone who wants insanely soft hands! A little on the expensive side, but worth it! I bought 2of these kits during the semi-annual sale. Not only was a pleased with the value and products but my order was "chosen" and I got a cute little seqin pillow, I think an extra 4 oz bottle of oil AND a bonus 2 hydro kits. Amazing. This is the best product I’ve ever tried on my nails I’m very happy with this product!!! I am very happy with this product best nail oil I’ve tried. This is a must have! My hands feel and look so soft after using the lotion stick. The Simply pure oil is nothing less than amazing. My six year old daughter has eczema on her little fingers and the Simply Pure oil is healing her faster than expected. Thanks for making these life changing products! After only a couple of nights of using this kit I noticed a difference -- I even had a cut on my right hand that healed faster after a few uses! My hands are much softer and my nails are longer and stronger. The gloves are not uncomfortable to sleep in, and while the lotion is a bit greasier than most, the gloves keep you from getting it everywhere. I will continue using this kit until you stop selling it! I've used it and I love it! Love these pink gloves they are very strong and last and doing the hydration over night made my skin so soft in the morning :heart: ... love all your products!